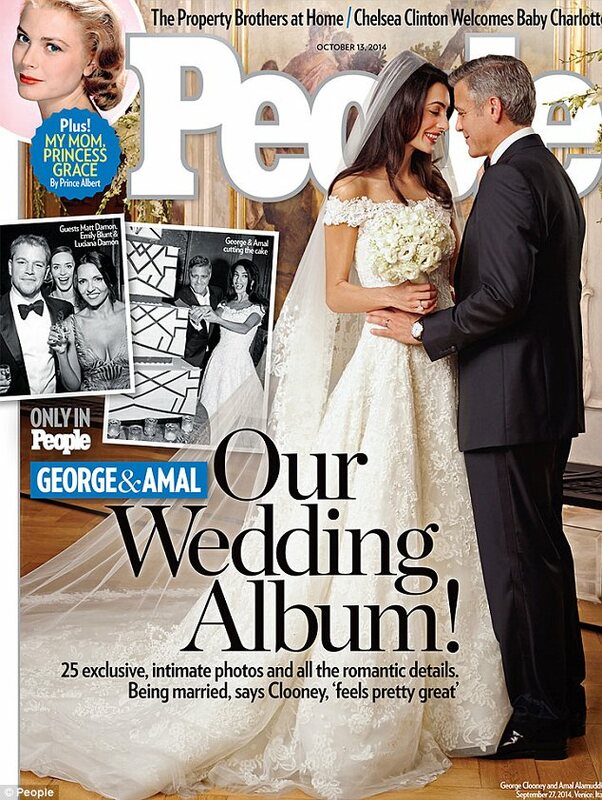 George Clooney and his beautiful wife Barrister Amal Alamuddin cover Hello! and People Magazines's latest issues. The couple got married in front of approximately 100 guests - including family friends and famous faces such as Matt Damon and his wife Luciana, Cindy Crawford and her husband, George's best man Rande Gerber, John Krasinski and Emily Blunt, Vogue's Anna Wintour and Bill Murray, at Italy's historic Aman Canal Grande Venice on Saturday. They had their civil wedding yesterday. Recall that HELLO! and People Magazines recently featured Brad Pitt and Angelina Jolie's wedding in another world exclusive.